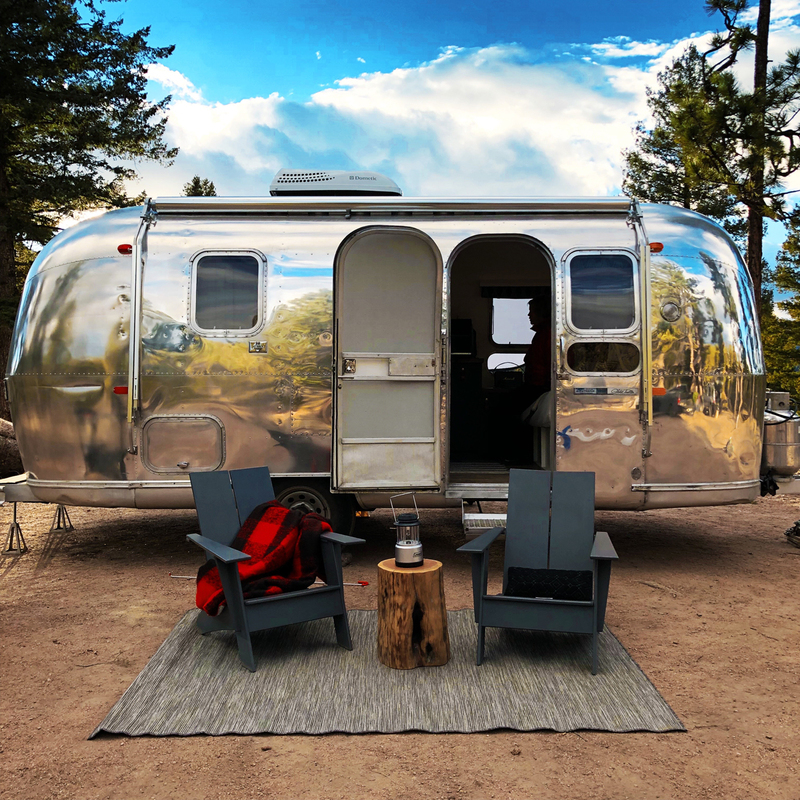 In Denver, Colorado, a new company called Colorado Caravan aims to make the dreams of Airstream fanatics come true. 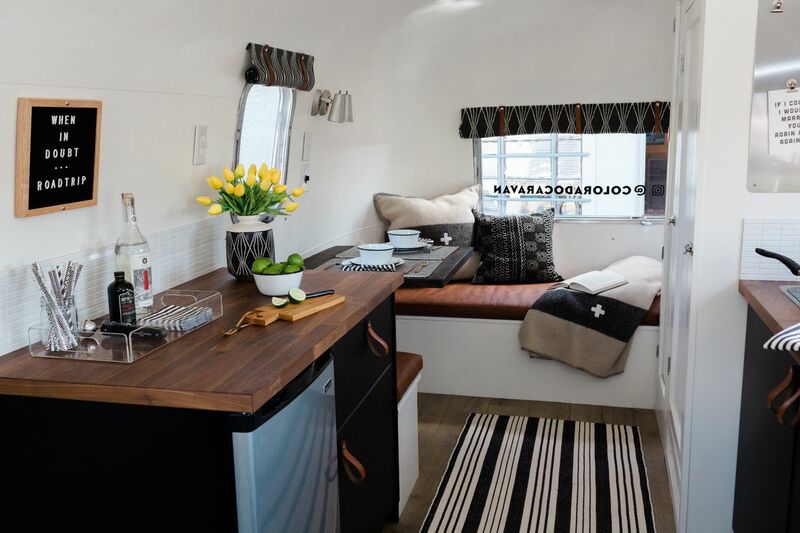 Husband and wife Patrick Neely and Kerri Cole rescued “Bonnie,” a 21-foot 1969 Globetrotter from Fairplay, Colorado, after it had been sitting unused and full of rodents for 12 years. 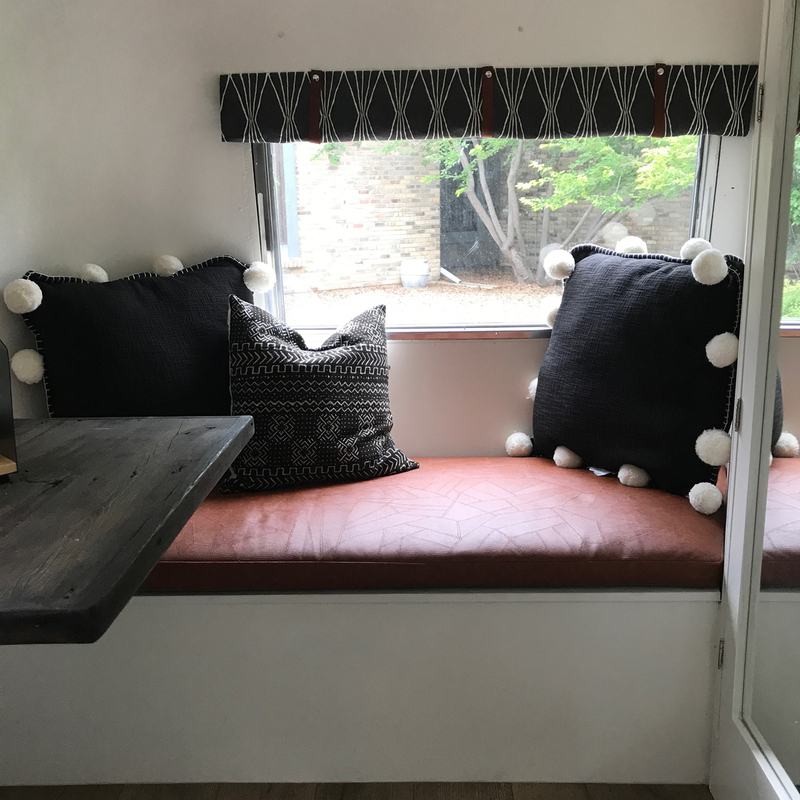 A thorough cleanup and all-new interior resulted in a mobile retreat that prioritizes functionality, airiness, and sleek, livable design. 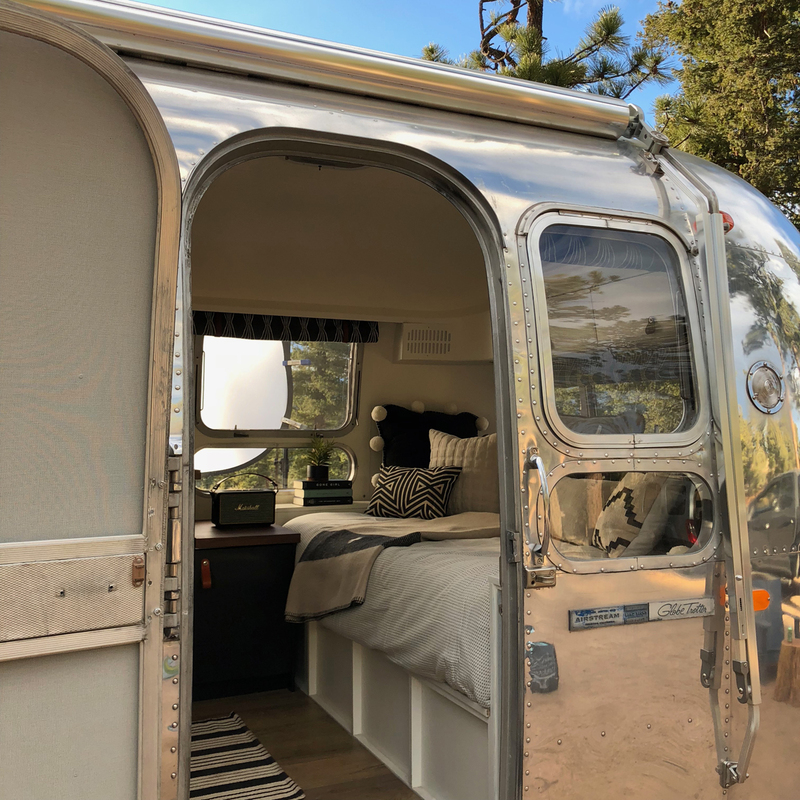 As one of the smaller Airstream trailers—the company’s largest measure up to 33 feet long—the vintage Globetrotter proved the perfect space for the couple, clocking in at 140 square feet. 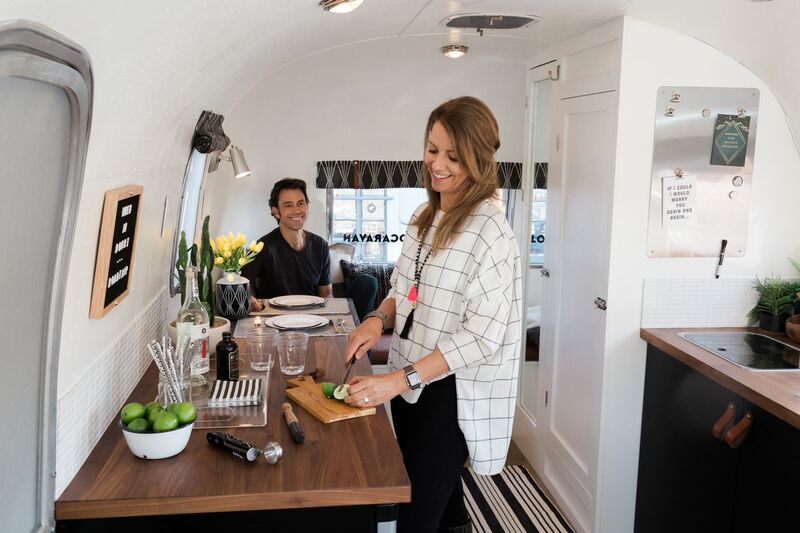 Colorado Caravan works as a team, with Neely demoing and building out the remodeled space and Cole using her skills as a real estate stager and stylist for the design. 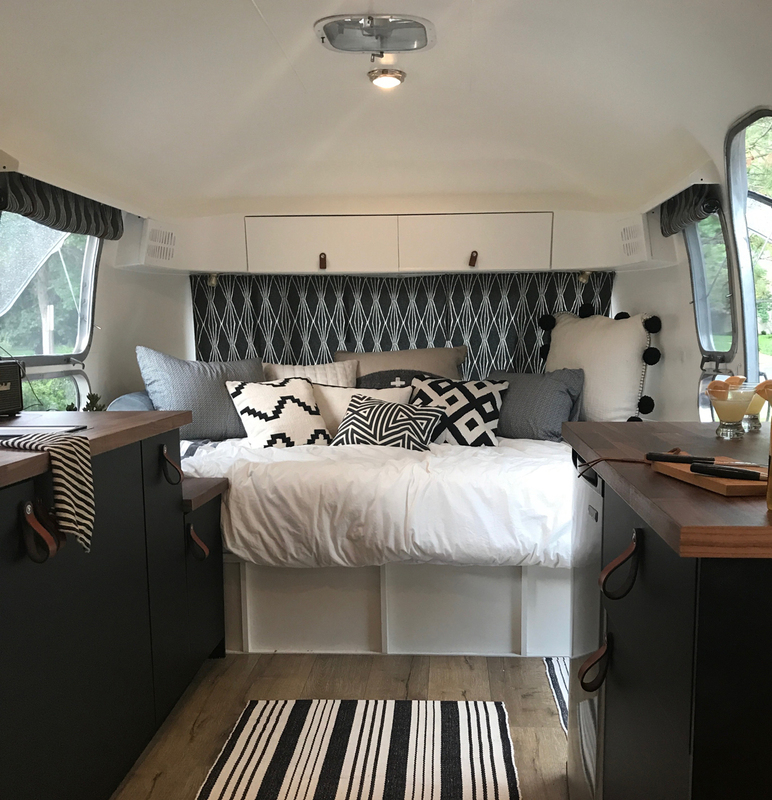 Neely demoed Bonnie down to the original aluminum framing, added new insulation, replaced the rotten sub floor, and added all new electrical, AC, plumbing, and windows. 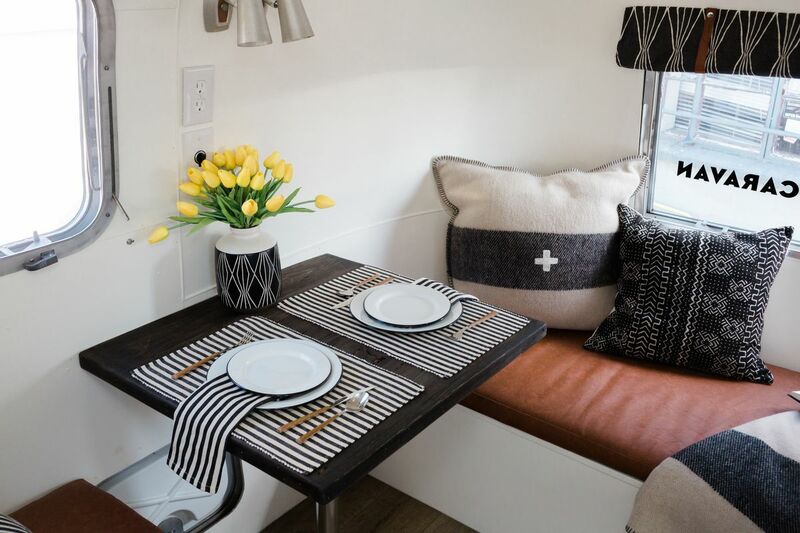 Ripping out the former upper cabinets made the trailer feel more spacious, and the couple added a queen bed, a dinette that converts into a bed, and a separate dining space with bench. 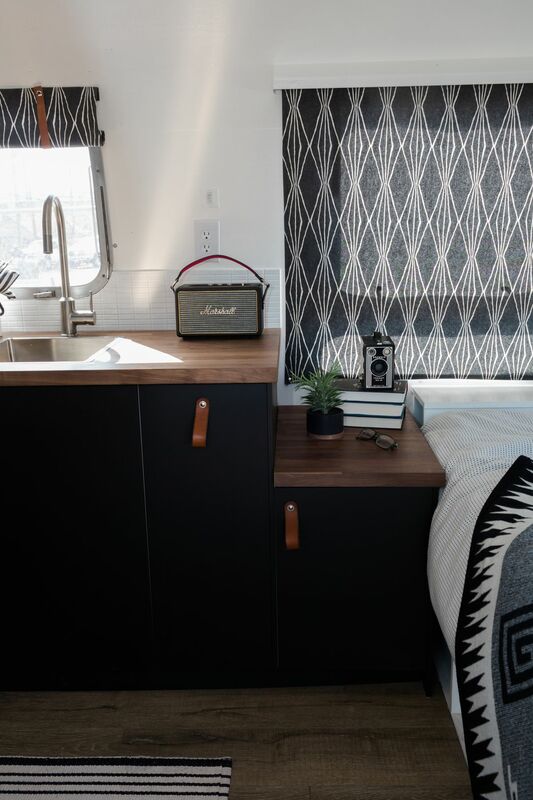 Then Cole went to work, using a monotone black-and-white theme with white-washed engineered oak, black recycled cabinets, walnut countertops, and white walls. 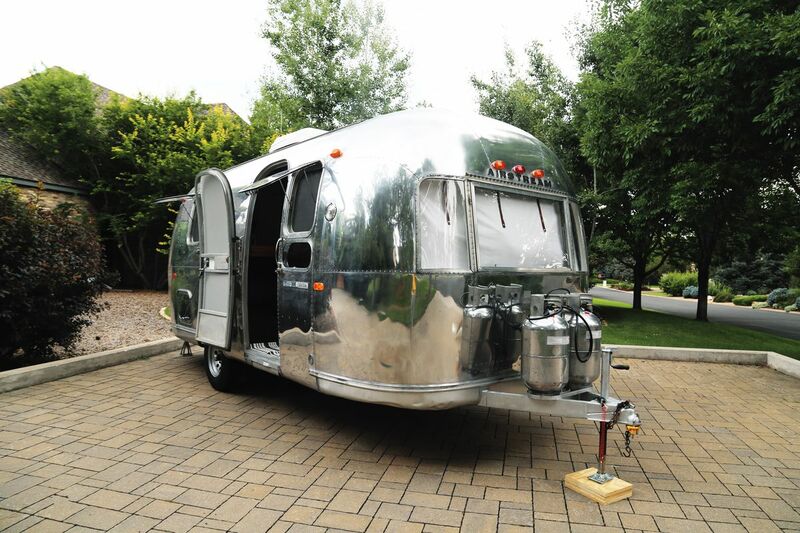 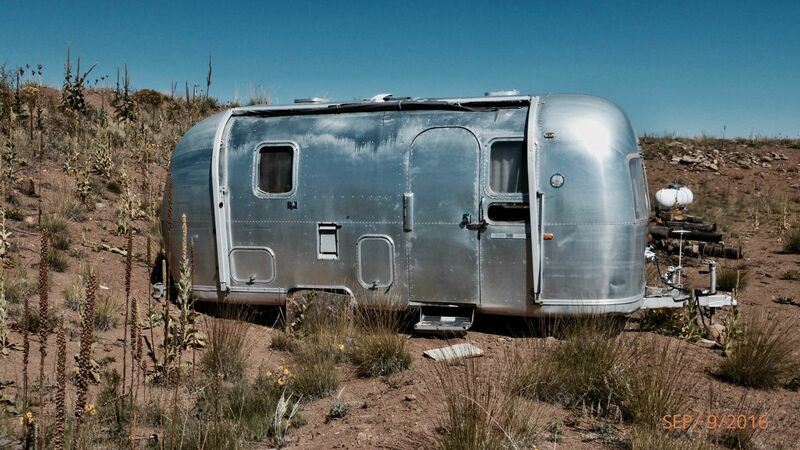 The end result is a hipster-inspired Airstream that was too good to sell. 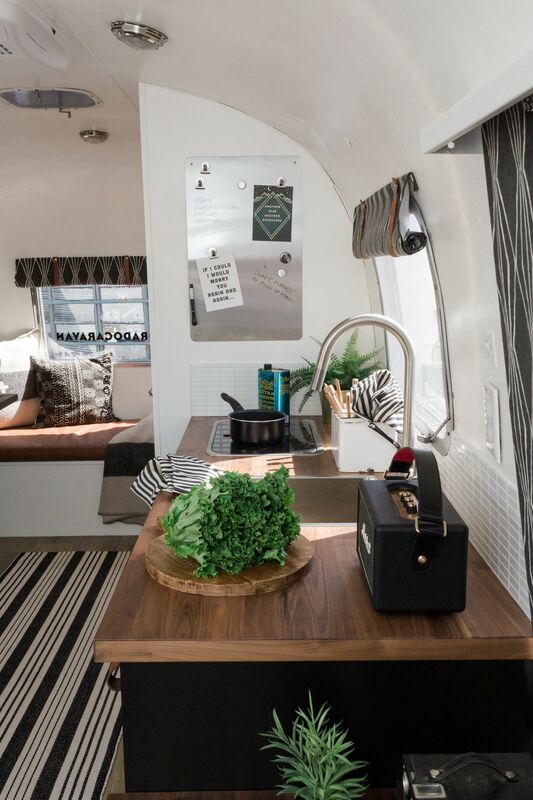 The process also inspired Neely and Cole to start a new business renovating caravans, shipping containers, and Airstreams into mobile tiny homes. 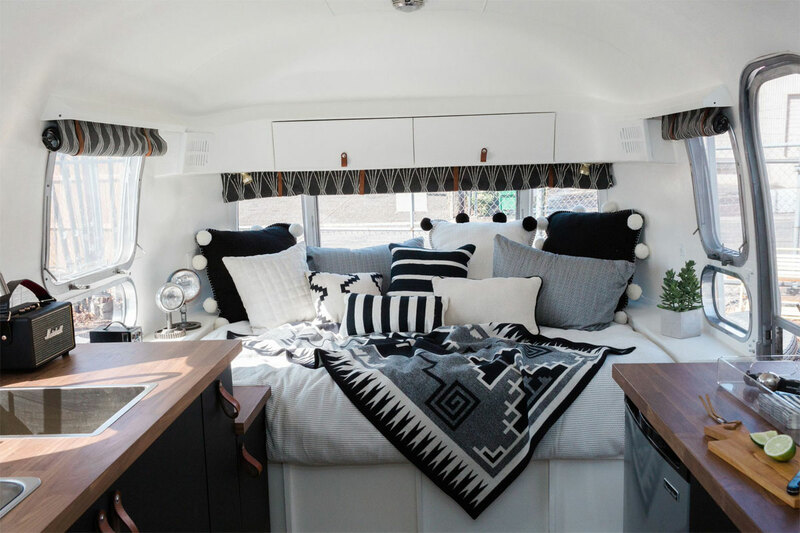 Bonnie is available for production rental for print publications, commercials, movies, and TV shows, and Colorado Caravan is also taking orders for new client projects. 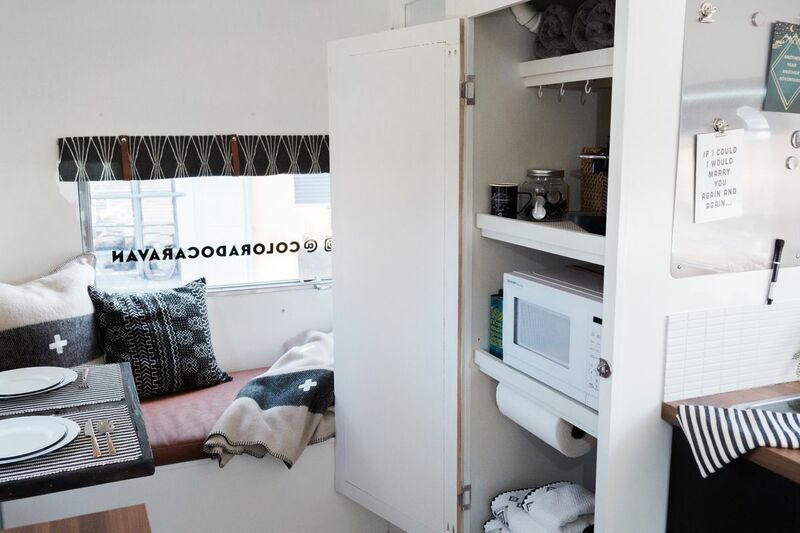 From our side we recommend to check our collection of tiny houses.